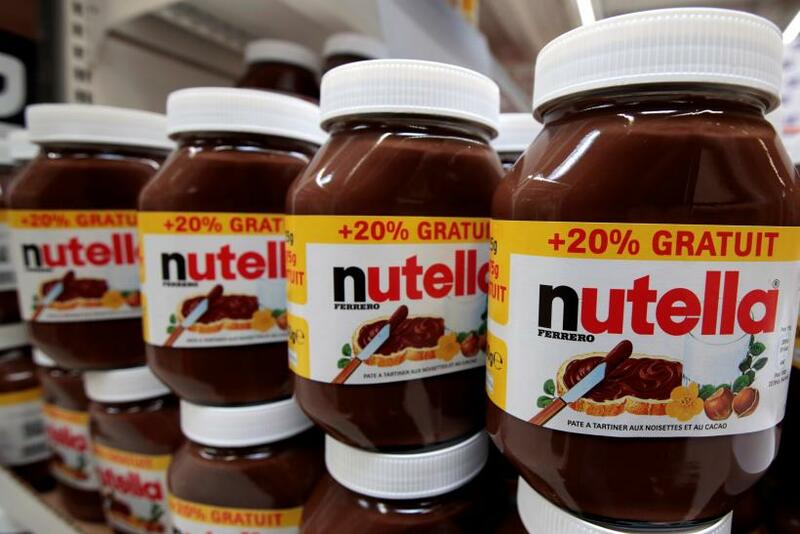 An edible oil in Nutella may pose a cancer risk, but the Italian food giant behind the hazelnut and chocolate spread is assuring its customers that the treat is safe. The debate over potential risks comes as European officials are pressuring the $44 billion palm oil industry to list edible oil as a cancer risk. Italian confectionery firm Ferrero, however, insists the ingredient in Nutella, which makes up about a fifth of its sales, is not harmful to consumers. Ferrero claims using sunflower oil instead would change the taste of one of Italy's most beloved foods. "Making Nutella without palm oil would produce an inferior substitute for the real product, it would be a step backward," Ferrero's purchasing manager Vincenzo Tapella told Reuters. The company has started running an advertising campaign in Italy that calls Nutella safe to eat. But Ferrero might be reluctant to make a change because palm oil is so much cheaper than other possible alternatives, such as sunflower oil and rapeseed oil. In all, Ferrero uses 185,000 tons of palm a year at $800 a ton. Making a change could cost up to $22 million each year. "We choose only the freshest raw materials, carefully selected according to a sustainable sourcing and a great attention to their quality," the Nutella website declares. The European Food Safety Authority declared palm oil a potentially carcinogenic contaminant in May. It said further research would determine whether consumers stop eating it. More detailed guidance is expected later this year, although it's unlikely that the authority will ban the food. Meanwhile, Italy's largest supermarket chain, Coop, has banned palm oil in all its own-brand products as a "precaution". Italy's biggest baker, Barilla, also called for "palm oil-free" labels on its products. Elsewhere, the World Health Organization and the U.N. Food and Agriculture Organization have also warned consumers about palm oil. The U.S. Food and Drug Administration have not weighed in. Nutella lovers don't seem scared by the warnings. Nutella sales in Italy soared by 4 percent in recent months, said Alessandro D'Este, head of Ferrero's Italy business.